The Italian Key Event for Industrial Automation and Digitalisation. The SPS IPC Drives Italia has become the leading platform for companies of the automation sector in the Italien market. In its 8th consecutive year, more than 700 exhibitors showed their newest innovations for smart and digital automation. Also PROEMION was attending the SPS IPC Drives Italia this year and was presenting its newest products and solutions at the collective booth of the Land of Hesse in hall 3. Proemion was exhibiting at the show with an international team to present the latest releases. These include releases in telematics, wireless CAN-bus interfaces, and CAN-Displays. Proemion manufacturers under the highest quality standards in our modern production facility in Germany under the ISO 9001:2015 certification. The German-based company demonstrated one ecosystem: from the embedded hardware world to the cloud-based web services. The ecosystem enables customers an easy entry to telematics applications. These feature the latest Big Data technologies to process, analyze and serve billions of telemetry data points in just milliseconds. 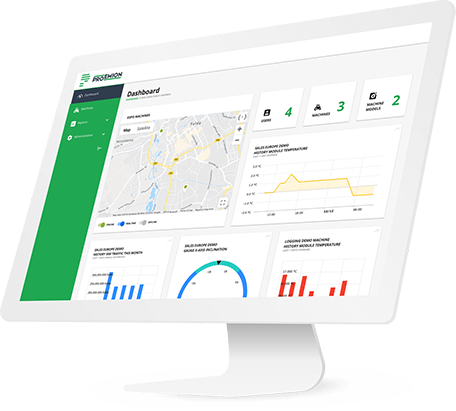 PROEMION's goal is to easily visualize any telemetry data on the web portal or via the brand new RESTful APIs. We would like to thank all our booth visitors for their big interest in our entry to the world of Big Data connected to the exciting world of CAN-bus Systems.